Hundreds of games available to play in the library and a selection available for purchase. Curated menu of tabletop-friendly foods. $5 cover, game all day. We've quietly opened our doors. Feel free to stop in, get to know us, play some games, and see what we're all about! Members of our Discord server (the “store chatroom” of sorts) get half off the cover fee on Thursdays for our Discord Meetup. Join, hang out, and game! Saturday, April 20th will be our Family Game Day, and all kids with an accompanying adult get in free for the day. Stop in for some fun! Tuesday, April 23rd local players will be on hand to demo the new card game from Wizards of the Coast - Transformers. In Transformers you lead a group of Autobots or Decepticons in mortal mech combat for supremacy using tactics, weapons, and a bit of brute force. 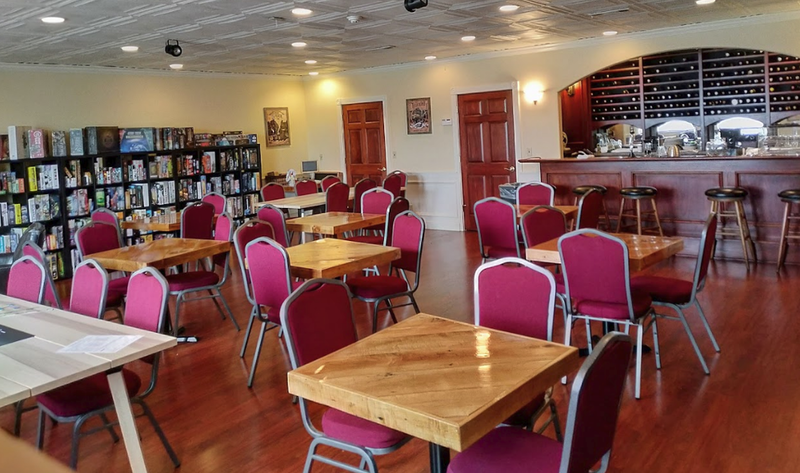 Started in 2007, Free RPG Day is an event meant to inspire seasoned gamers to try a new world, and to entice new players with accessible quickstart rules and one-shot adventures. A number of RPG publishers such as Paizo (Pathfinder, Starfinder), Goodman Games (Dungeon Crawl Classics), Renegade Games Studios (Kids on Bikes, Outbreak: Undead), and others are providing us with a big ol' box of fun meant to get you playing in their world. And we're giving it all away! So stop in on June 15th, have a seat, and start an adventure. With the new year approaching, James and Jessica take a moment to reflect on the games they played for the first time, and which were their favorites of 2018.